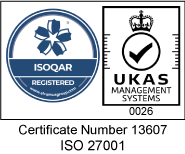 With our ISO27001 certificate, Meantime is one of only 0.05% of UK businesses which manage to reach the security standards your data deserves. That's because the more information people put online, the more serious the security risks become. And even the biggest businesses can fall prey to hackers, putting everything from top secret reports to personal details and financial records at the mercy of slip-shod data protection. Don't hope for the best, demand it. ISO27001 ensures that confidence is well-placed. It is a rigorous assessment of how secure your data is. 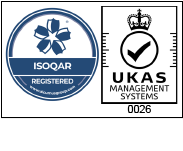 To win accreditation, we had to go through an eighteen month-long series of inspections, audits and interviews. All our systems and processes were put under forensic examination by experts in order to certify our security is at the pinnacle of what it needs to be. We will always be at the forefront of data security.